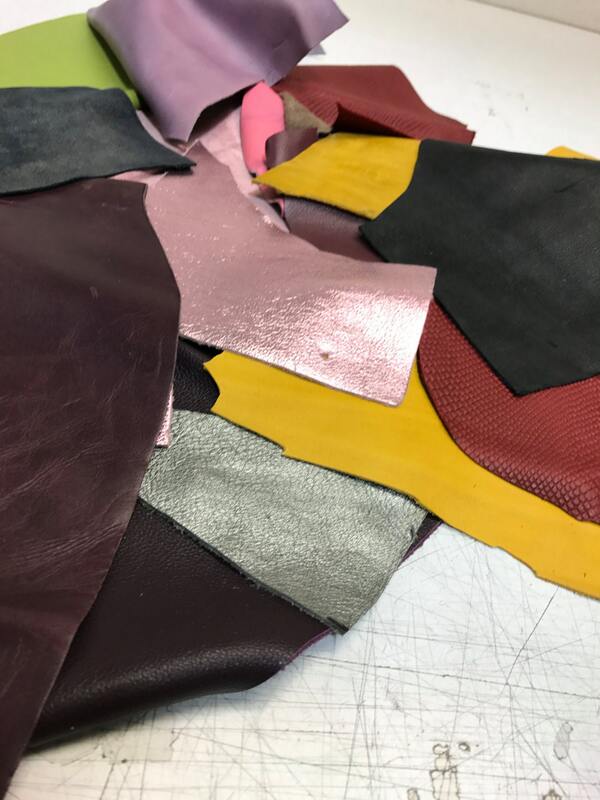 LARGE PACK of Full Grain Leather SCRAPS and Trimmings: 3 lbs of scrap include fashion colors, embossings and metallics! Average packages will be a mix of 6-7 different colors/metallics/prints (there will rarely be more then 1-2 metallics or embossed leathers). Please note this is an AVERAGE. The packages are stuffed to capacity from the mix of available pieces each day. 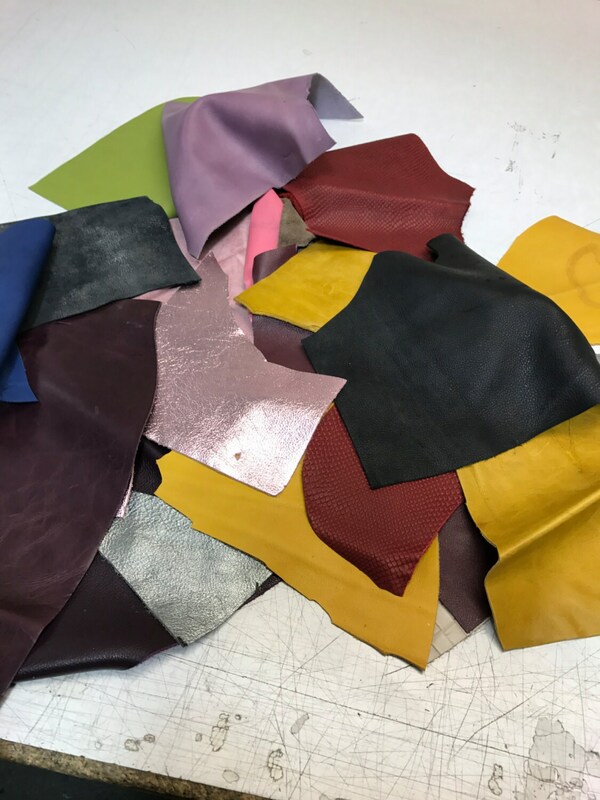 As our company is catering to mostly fashion, there is often pop colors, embossings, prints, and more. 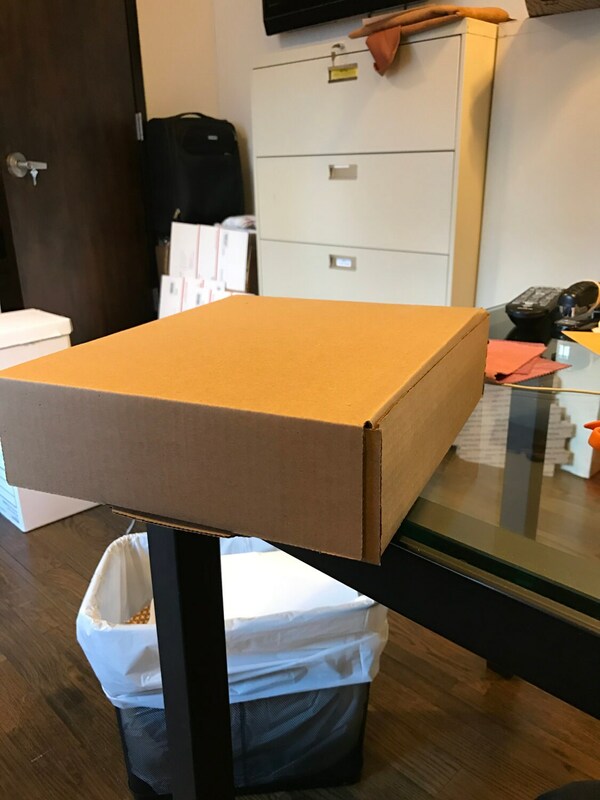 Pricing is for a 12'' X 10'' X 3'' box. We can quote for different sizes upon request. We fill each box to CAPACITY. 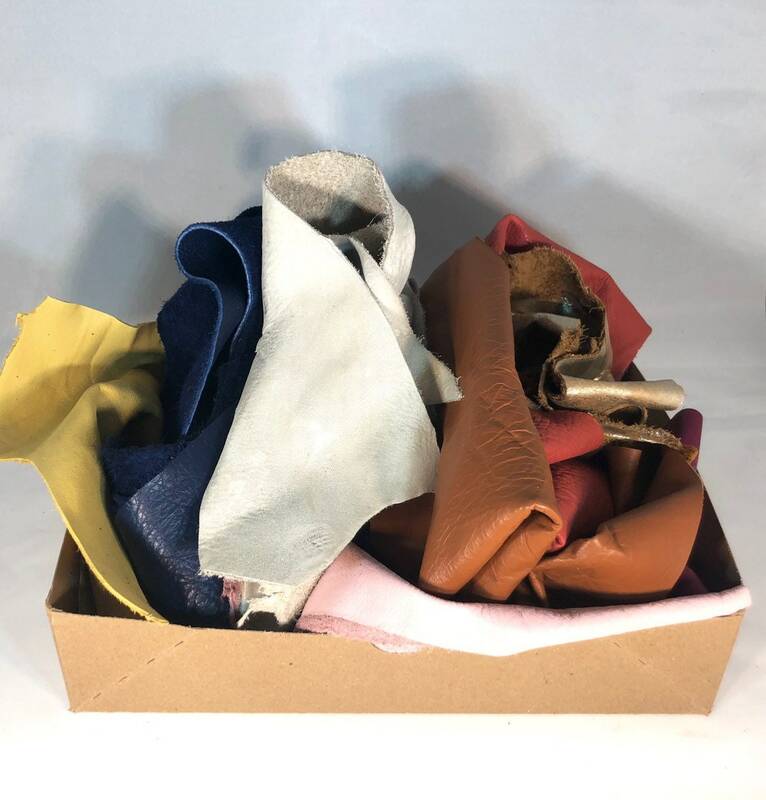 Our "LARGE PACKS" are about 3 lbs of leather scrap in total. Most of the leathers we produce are soft in nature, meaning they weigh less. Therefore our 3 lbs not only has a nice variety in color - it is better value! Nothing in your mix will be anything you see from the picture, a for sure grab bag.